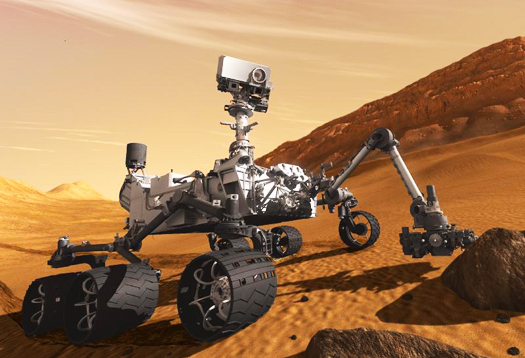 The Curiosity rover landed on Mars on August 6, 2012, at 05:17 UTC. This was a momentous occasion for NASA and its Jet Propulsion Laboratory so I was intrigued to see what the event chart looked like. Since I’m not an astrophysicist, I looked up “UTC” to learn it stands for Coordinated Universal Time, which means GMT, absent any daylight saving time. After adjusting for time zone, daylight saving time, and the fact that NASA’s control center for the Curiosity mission in La Cañada Flintridge, California, isn’t in the middle of the Pacific time zone, the landing appeared on local clocks as 10:31 PM PDST of August 5, 2012. In the event chart, Mars is in the seventh house, about four degrees above the horizon and descending. I assume this was planned so NASA would have line-of-sight visual and radio contact until Curiosity landed. In any major trip, three houses are significant. The third house represents the launch, as when a journey of a thousand miles begins with a single step. The ninth house indicates the destination, the landing opposite from the launch point. The eleventh house signifies the objective to complete the trip on schedule, on target and in one piece. The lords of these houses are Venus, Mars and Saturn, respectively, and all are dignified. 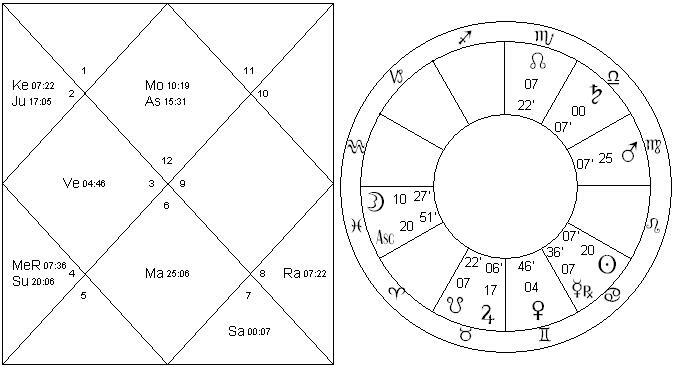 Venus has dig bala in the fourth house. Mars is in its own nakshatra in the seventh. Saturn is exalted in the eighth. Remarkably, all three are found in nakshatras of Mars. Venus is in Mrigashirsha (23TA20 – 06GE40). Mars and Saturn are both in Chitra (23VI20 – 06LI40). Mars bhukti will run February 2015 – March 2016. 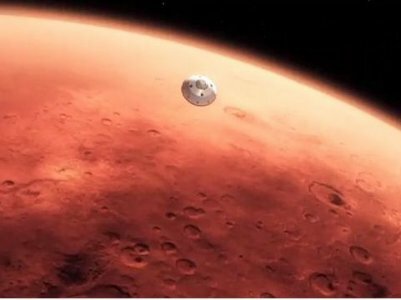 Dare we glance ahead and predict that, in the last week of February 2015, when Venus and Mars will both transit the first house Moon, Curiosity Rover will make some momentous discovery? Does Mars dare? Per ardua ad astra! Interesting to see all the three planets in the nakshatra of Mars. Well. The disclosure has been in the making for a long time according to conspiracy theorists. So I wouldn’t be surprised. It is interesting to see how nakshatras play a major role even in a trip.